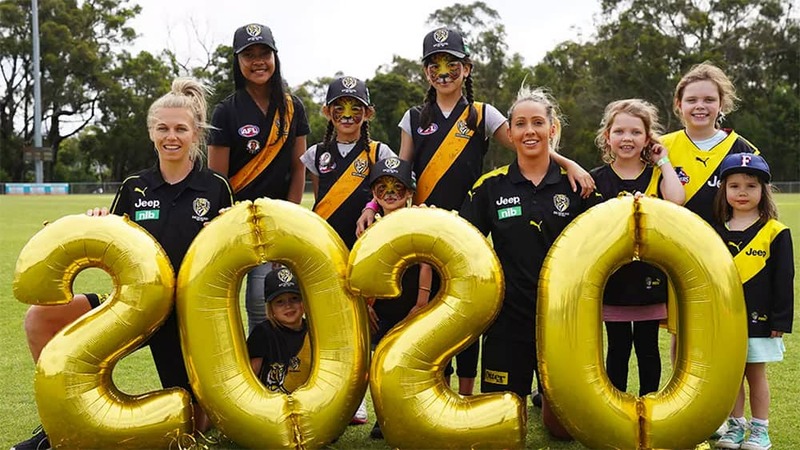 GOLD Coast, Richmond, St Kilda and West Coast have officially been granted licences for the 2020 AFL Women’s season and can begin pre-listing players from January 14 next year. The four clubs had to meet financial, talent development and organisational requirements, including establishing open-age academies, in order for their licences to be ticked off. They can pre-list up to 10 players each. Up to seven of these will be open-age players from their respective club academies (including former AFLW-listed players), all of whom must have nominated for the 2018 NAB AFLW Draft but not been selected. This signing period runs through to August next year. Clubs can also pre-list up to three players born in 2001 (the minimum draft-eligible year of birth for the 2019 NAB AFLW Draft), however these they must come from their designated development regions. The rest of the list build for the four expansion teams will happen after the 2019 NAB AFLW season. If team list sizes remain the same as 2019 (30 per side), 2020 will see 420 players represent 14 teams in the AFLW. The AFL’s head of women’s football, Nicole Livingstone, said confirmation of the four new AFLW clubs was a “significant step forward”. “Not only is this further opportunity for the next generation of talented women to play elite Australian football, but also one for fans of the game as we welcome more AFLW teams wearing iconic club colours. AFL CEO Gillon McLachlan said the AFL had a responsibility to expand the competition in a sustainable manner. “The AFL Commission has had to balance the aspiration of creating the best women’s competition in Australia while maximising engagement and opportunity through our clubs,” McLachlan said. “We congratulate the four successful clubs, but also caution our industry that this league is still young and requires not just passion but continued hard work to build solid foundations. Geelong and North Melbourne will join Adelaide, Brisbane, Carlton, Collingwood, Fremantle, Greater Western Sydney, Melbourne and the Western Bulldogs in the AFLW for the first time in 2019. The inclusion of the four additional sides in 2020 leaves Essendon, Hawthorn, Port Adelaide and Sydney without AFLW teams. Essendon and Hawthorn have VFLW teams. Those two, along with Port Adelaide and more recently Sydney, have expressed interest in securing an AFLW licence.